The WDAP was developed in recognition of the need for greater coordination and to accordingly revise the State’s plan for wild dog management. This comprehensive, industry-led plan aligns with the National Wild Dog Action Plan and is complementary to current revitalisation efforts for the southern rangelands. It was developed under the direction of an industry working group, in consultation with industry (including the PGA and WA Farmers), affected landholders, regional communities and others interested in wild dog control. A coordinated and well-resourced plan is key to protect and grow the livestock industry, and will provide the strategy and confidence for industry to position itself for leadership on this issue. In addition to significant stock losses to wild dogs, the threat of wild dog impacts is a major deterrent to restocking of livestock enterprises, and also impacts on tourism industries, public safety and causes considerable stress to individuals and communities. The WDAP provides an opportunity for new leadership and coordination for industry, landholders, biosecurity groups, government and others to decrease wild dog impacts. Target control appropriate to the local area and wild dog pressure, determined by impact on assets. Reduce the impact of wild dogs on agricultural production and biodiversity. Biosecurity Groups are responsible for ongoing integrated control to protect agricultural production and biodiversity. Develop the capacity of industry to manage the wild dog impact with identified public support. As a result of the Wild Dog Management Forum chaired by the Minister for Agriculture and Food on 15 September 2017, and with input of a broad range of stakeholders, the State Government was able to release the wild dog action package in November 2017. This package was prepared to help protect and revitalise the pastoral and agricultural industries and drive job growth across the regions, while ensuring the most effective use of funds. Repair and maintain the existing 1190km long State Barrier Fence using a model that maximises Aboriginal employment - $4,800,000. Aboriginal contracts have been awarded to registered Aboriginal businesses to replace and repair old fence infrastructure. A panel of Aboriginal businesses is being established to continue these works in 2018/19, 19/20 and 20/21. Funding eight additional Licensed Pest Management Technicians via Biosecurity Groups over three years - $2,360,000. The eight ‘Doggers’ are employed until 2019/20 and focus their efforts on government lands and adjacent properties. Murdoch University Veterinary Graduate Program to sterilise dogs in Aboriginal communities over the next three years - $165, 000. This will assist to protect the genetic integrity of the dingo and reduce wild dog impacts on the livestock industry. Employment of a DPIRD Project Manager and Development Officer over four years ($1,000,000) plus the delivery of community engagement ($200,000). Wild Dog research and development (R&D) - $615,000. Employment of an early career research officer working on wild dog R&D initiatives and developing a competitive R&D grant. 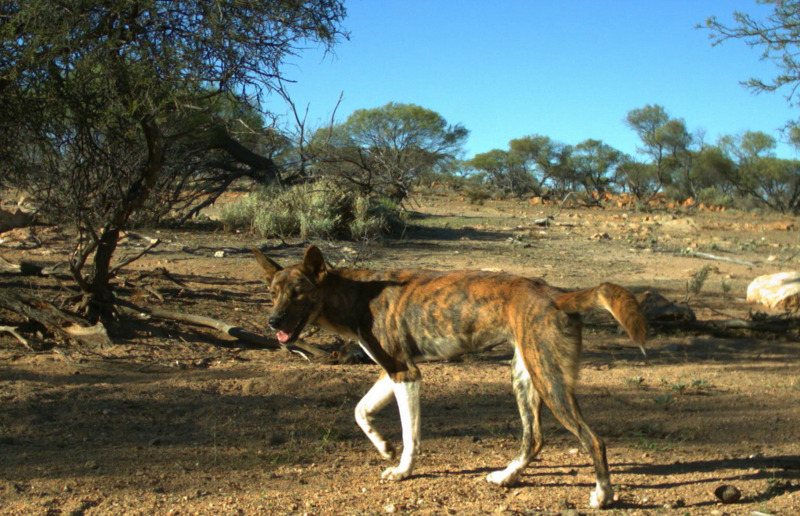 Capacity building and skills development in wild dog management ($1,500,000 in Federal funds).This includes Biosecurity Group wild dog management capacity building grants, monitoring and evaluation and an R&D contribution.